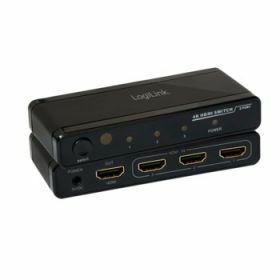 The 4K HDMI switch from LogiLink allows the connection from up to 3 HDMI sources to one display/TV. By pressing a button or via remote control the input source can easily switched. 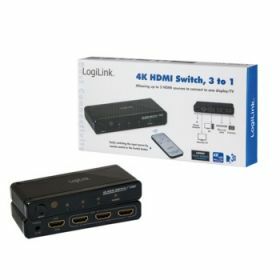 Thanks to the new technology, 4K Ultra HD resolutions are possible.